Catherine June Beggs, passed away on Sunday September 9th at Boone Hospital Center surrounded by her family. Catherine's wishes were to be cremated with a private burial at a later date. Catherine was born November 5th, 1935 to Catherine Abbott (Carr) and Ordell Abbott in Macon, Missouri. She was raised by her Granny and Grampy on their family farm in Macon, Missouri. She remained on family farm she loved until moving to Ashland to attend and graduate High School, there she played 4 years of basketball (her passion). After graduation she moved to Columbia, where she met and later married Edward Beggs on May 2nd, 1958. She worked and retired from Boone County National Bank after 35 years as a bank teller. She also worked at several other Banks in Columbia after retirement. They later moved to Hallsville for several years before moving to Boonville to be close to their daughter and family. 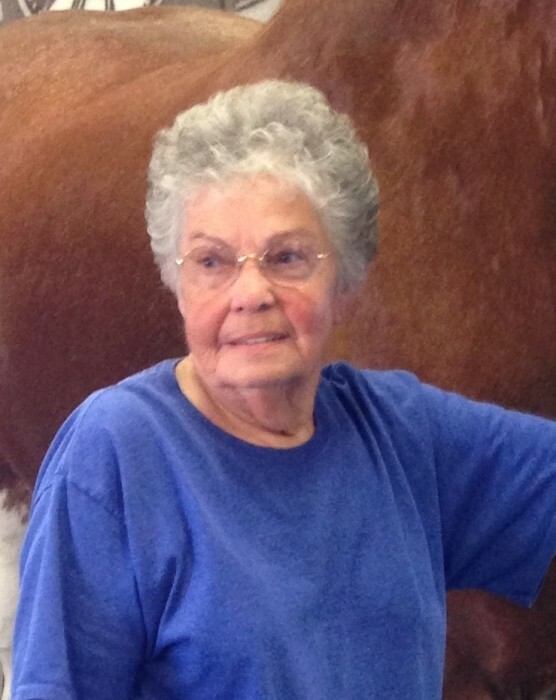 She was a resident of Katy Manor for the last 6 months where she made many friends and enjoyed playing games and watching her favorite show Longmire with her roommate. Survivors include her husband Edward of Boonville, her son Reece Beggs of Columbia and daughter Denice (Glenn) Bishop of Boonville. She leaves behind her grandchildren Brandi Reuter, Pilot Grove, Paul Reuter of Pilot Grove and Justin (Crystal) Crump of Boonville. Step grandchildren include Bob (Renee) Terrell of New Franklin and Kandy Jones of Boonville. Her great-grandchildren Alexis, Dalton, Kynli Reuter, Kara and Katie Crump. Step great-grandchildren include Levi, Justin, Wyatt Terrell and Gavin Jones. Sister, Barbara Wolfe of Columbia, her dear Cousin and best friend Debra Nagel and family of Donnellson Iowa, and her sister in-law Imogene Spires of Broken Arrow Oklahoma. The family would also like to thank her neighbors and special friends Greg & Julie Herpin and Jim and Lois Peacock. The entire staff at Katy Manor and her best buddies Aletha Odneal and Danny Green. Family suggest memorials to Katy Manor Nursing Home in Pilot Grove, Missouri.